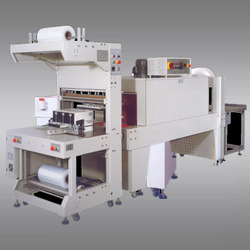 Our organization specializes in providing them a comprehensive range of Automatic Web Sealers and Tunnels at par with the international standards and also at industry leading prices. Clients from around the globe preferred using the products manufactured by our organization because we ensure high strength, durability and reliability to our products by using latest techniques, high tech machinery and components of optimum quality. Looking for Bottle & Box Shrink Wrapping Machine ?